The chaga mushroom is certainly not short of famous admirers – indeed many top celebrities, including popular TV host, actress and fashion designer, Kelly Osbourne, and celebrated US singer/songwriter, Katy Perry, are firm fans of the powerful medicinal mushroom. But what is it that makes this potent superfood that originated in the remote forests of Siberia such a big hit with today’s modern stars, and why is this so-called ‘Gift from God’ set to become one of the best-selling superfoods of the year? The chaga mushroom (Inonotus obliquus) is a hardy variety of parasitic fungus that thrives on the birch and other trees, deep in the dark forests of Russia, Korea, North America and the North East of Europe, where temperatures regularly drop below freezing. It has been used as a primal source of food in Siberia for centuries and is still harnessed as a traditional Chinese medicine that’s believed to positively influence the ‘Three Treasures’ (Jing, Chi and Chen) and thus have life-prolonging properties. Often referred to as the ‘Gift from God’ or ‘Mushroom of Immortality’, the chaga mushroom is also regarded as an effective adaptogen that can help the body successfully manage stress. Despite the fact that chaga mushroom has been enjoyed for generations, it’s only relatively recently that western scientists have begun to investigate its beneficial effects on our health. Below are three convincing health benefits increasingly associated with chaga mushrooms – three great reasons for adding chaga mushroom extract powder to your daily diet! Chaga mushroom extract is arguably best known for its unrivalled immune boosting properties. That’s because the chaga mushroom is extraordinarily rich in antioxidants – natural chemical compounds, which help to prevent the damage to our cells caused by free radicals (such as artificial additives, environmental pollutants and UV radiation) and thus decrease our risk of chronic diseases, including heart disease and certain types of cancer. According to the US Department of Agriculture (USDA) and Tufts University, chaga mushroom extract has the highest ORAC (Oxygen Radical Absorbance Capacity) score for any natural food – more even than blueberries, goji berries or acai berries! In addition, chaga mushroom extract is high in phytonutrients, and in particular, betulinic acid, which possesses antiviral, antimalarial, anti-inflammatory and potentially anti-carcinogenic properties. It also contains complex non-linear polysaccharides, including beta-glucans, which are known as “biological response modifiers” due to their impressive ability to activate our immune system. Perhaps not surprisingly, chaga mushroom extract is often used to support the treatment of a variety of conditions, from common colds and flus to infections, inflammations, skin problems, digestive problems, stomach ulcers, hepatitis, respiratory disease (asthma, bronchitis etc. ), arthritis, HIV and AIDS. Studies conducted in Finland and Russia in 1958 also suggest that chaga mushroom could have a healing effect on patients suffering from breast, liver, uterus and stomach cancer. Chaga mushroom extract is especially rich in a unique type of antioxidant known as superoxide dismutase (SOD) – in fact, it contains the highest concentration of SOD antioxidants of all known food sources on the planet, and up to 50 times more than any other medicinal mushroom. SOD is an enzymatic antioxidant that actively hinders the oxidation that can result in the visible signs of aging. Chaga mushroom extract also contains phenolic compounds, which in turn boast generous quantities of melanin – a natural pigment produced by cells called melanocytes that gives our skin, hair, and eyes their colour and prevents the development of fine lines and wrinkles resulting from sun exposure. Lastly, chaga mushroom extract contains both vitamin D, which demonstrably increases our skin’s elasticity, stimulates collagen production and again, reduces fine lines and wrinkles, and vitamin E, which plays an important role in photo protection (preventing UV-induced free radical damage to skin), supports new skin cell growth and speeds up cell regeneration. A progressively polluted environment coupled with an unhealthy modern diet subjects our body to an almost relentless barrage of dangerous toxins, such as heavy metals, pesticides, fertilisers and artificial additives. 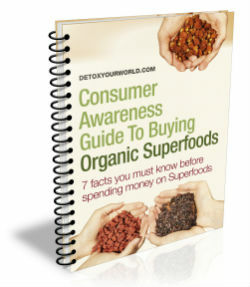 Over a sustained period of time these toxins can build up in our internal organs, triggering a number of worrying symptoms, including lethargy, fatigue, constipation, skin conditions, allergies, infections, headaches and migraines, and left unrestrained, can lead to imbalance and chronic disease. In order to avoid this, more and more of us are turning to the ancient art of detoxification – a practice that’s been applied by numerous cultures throughout the ages. A cornerstone of Ayurvedic and Chinese medicine, detoxification encourages the natural elimination of chemicals, metabolic waste and other toxins from our blood, tissue, organs and fat cells. Chaga mushroom extract is frequently used in China to thoroughly detox the liver, lungs and spleen, cleanse the bowels and to prevent the development of kidney stones, whilst in Siberia locals enjoy a chaga drink known as “soup water” in deference to its exceptional cleansing properties. Indeed, consuming chaga mushroom extract powder in a cup of hot water promotes a perfectly natural detox without the use of laxatives or extended periods of fasting. Chaga mushroom extract powder has a pleasant flavour that many liken to a cross between tea and coffee and, as it can be enjoyed in exactly the same way, makes a wonderfully healthy alternative to your usual cuppa. Chaga mushroom extract powder may also be used as an additional ingredient in your choice of rawfood meals and snacks – it’s highly concentrated too, so only a tiny amount is required for a demonstrable nutrient boost*. *It is not recommended to consume more than 1 teaspoon of chaga mushroom extract powder per day, unless otherwise agreed with your naturopath. I never heard about chaga mushroom. seems to be exactly what oi need it. But where can i find such extract powder? Great Article! Thank you for sharing this health benefits of chaga mushroom with us. yes I appreciate chaga mushroom is one of the best herbal medicine. 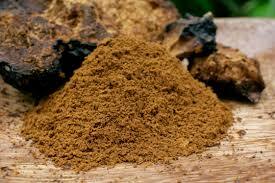 Because my wife always eat chaga mushroom for her diabetics from Buy Tincture and its really beneficial. Also, try reading on ChagaHerb website, it will help I think.